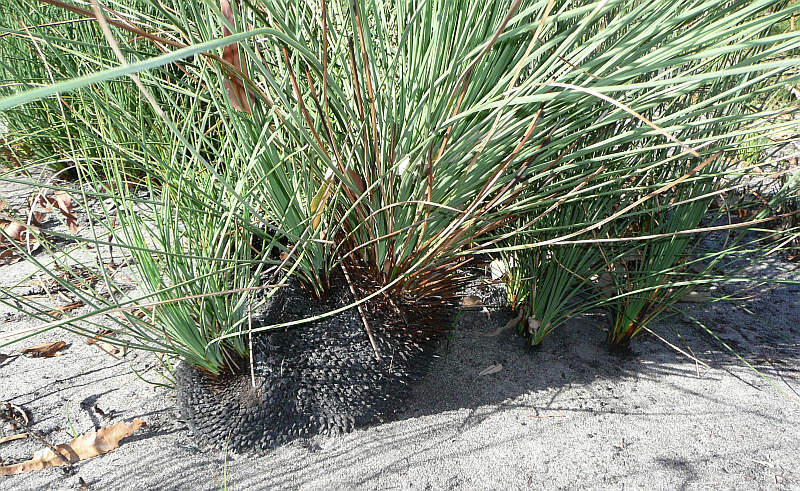 Meaning of name: Xanthorrhoea is from the Greek words xanthos, meaning yellow, and rheo, meaning to flow. It refers to the gum which flows from the stem. Brunonis honours Robert Brown (1773 – 1858), a naturalist on Flinders’ expedition. Distribution: Occurs on the Swan Coastal Plain north and south of Perth. 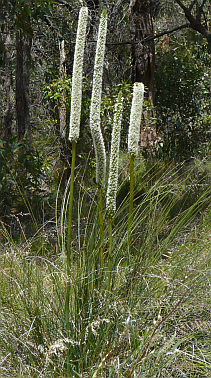 Remarks: A tufted perennial with leaves to 80 centimetres long. The flowers are produced in October and November. This species can be differentiated from Xanthorrhoeae preissii by its flower. 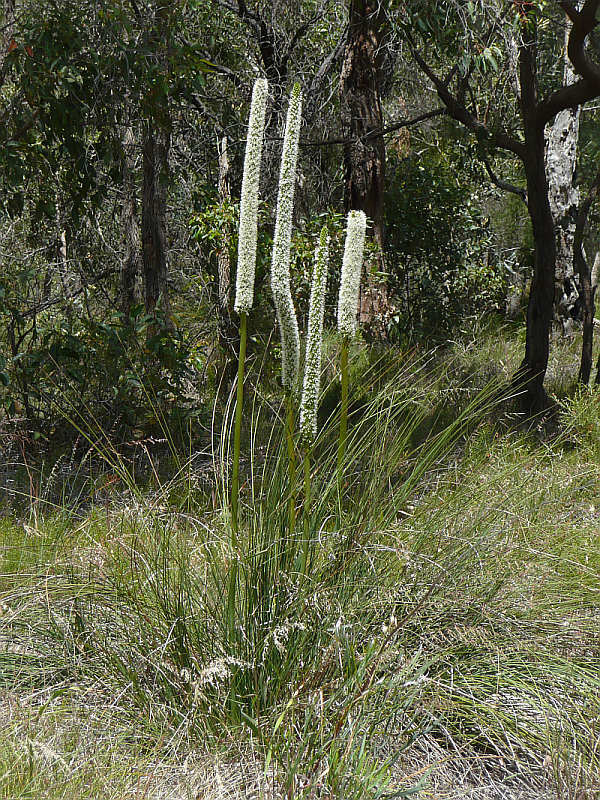 The non-flowering part of the stem is always longer than the flowering part in Xanthorrhoea brunonis. 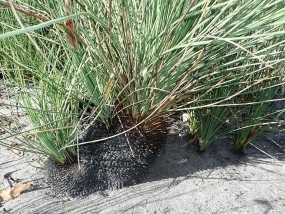 Xanthorrhoea brunonis has many small trunks growing closely together. 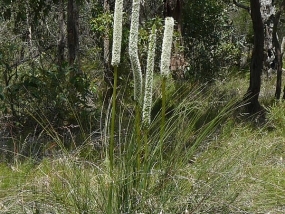 The flowering section of the spike is generally shorter than the remaining stem.